It's always fun to follow favorite books of others online. It helps me keep books in my TBR pile at all times. :) So, when Jonathan and Nina at Heavy Medal ran their mock Newbery, and Dark Emperor and Other Poems of the Night by Joyce Sidman was the almost run-away favorite, I knew I needed to make it one of the books I read during the #bookaday challenge that was happening on twitter during the holidays. Luckily, Bill and I were headed to Cover to Cover on Tuesday, and my favorite bookstore had one more copy of Dark Emperor. I snatched it up! This book doesn't fit the picture I have in my head of the kind of book that wins the Newbery award for three reasons: it's poetry, it's nonfiction, and it's a picture book. But when I began to read Dark Emperor, I was overwhelmed by the genius of Sidman's writing, and the layout of the book. On every left side page of the book, there is a poem featuring a creature of the night. The words are beautiful and leave the reader wanting to read the poem with the gorgeous language again and again. Then on the right hand side, Sidman writes a nonfiction text that further explains information about that specific creature. I'm not a total fan of the darkness of the pictures (however, how could the pictures not be dark when the books has "night" in its title?) 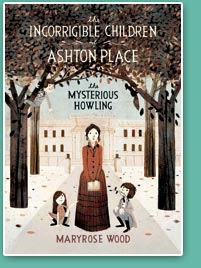 , but I believe that to win the Newbery, the text is the only thing the judges look at. If that is true, Sidman's writing is impeccable. I'm so glad I own Dark Emperor and Other Poems of the Night if for no other reason that it is one of the most amazing nonfiction mentor texts I have come across in quite some time. What a wonderful book to share with students! I will watch with great interest to see what the Newbery committee thinks! So Karen and I tossed this one back and forth, and it landed on my stack of books to review for Looking for Newbery. I know it's getting a lot of very positive attention, Fuse #8 chose it as an honor book, and is making short lists everywhere. I know the writing is "beautiful" and even has, ok, I'll say it, dream like qualities. I know it's just the type of book that wins Newbery awards. It's the type of book that I don't like. I guess I just don't get it! 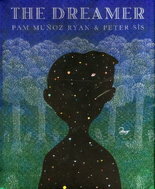 The Dreamer by Pam Munoz Ryan is a biography of Nobel winning Chilean political poet Pablo Neruda. I had to look him up to know who he was, so maybe that's part of the reason I didn't get it. The story begins with a boy by the name of Neftali, sick in his bed room, looking out the window dreaming of playing with the other kids and having friends. The dream is interrupted by the clomping of his father's boots and the fear that sound strikes in the heart of Neftali. The book is a series of dreams being shattered by the father. Neftali's brother, Rodolfo dreams of being a great opera singer, but the father forbids him from singing anymore, even beats Rodolfo when he discovers him singing in the woods. Neftali has a love of words, developed by all of the reading he does due to his sickliness. It frustrates the father who wants his boy to be "robust" and playing futbol with the other boys. Nefatali' love of writing is an embarrassment to his father and culminates in the burning of all of Neftali's notebooks. Thank goodness for the two characters who encourage the brothers to follow their dreams. Sadly, it's too late for Rodolfo, he succumbs to his father's wishes and becomes a businessman. But for Neftali, his step-mother and her brother, are the support every child should get. They encourage Neftali's talent and his uncle Orlando, who runs a small anti-government newspaper, even publishes some of Neftali's essays. This only serves to anger the father and leads Neftali to publish under the pseudonym of Pablo Neruda to save his father from embarrassment and to protect his own identity for safety. Interspersed in the book are poetic questions posed by Neftali's imagination. They truly add to the dream like quality of the writing and help to bring the reader into the boy's world. Like I said, beautiful writing, dreamy and all that, but I'm not sure it's all that kid friendly. As Fuse #8 points out, that's not something the Newbery committee has to look at, but maybe they should. I initially read The Red Umbrella this summer when it was recommended to me by one of the very smart ladies at my favorite independent children's bookstore, Cover to Cover. It was a great recommendation -- the characters, the setting, the problems and conflicts all kept me mesmerized from first page to last. In addition, as I blogged this summer, The Red Umbrella has many layers which allows it to appeal to many audiences. I am amazed that the author, Christina Diaz Gonazalez, is a first time author. She writes about a topic that is close to her heart (the reader should definitely read her author's note at the end) which probably is why the language o f the book is so beautiful and compelling, and the situations in the story are so real. This book challenged my thinking about Cuba since I was born in the mid-50's and was aware in the 60's of our country's perception of Cuba. The Cuba in this story incorporates that thinking, but it is so much more -- it is a beautiful place where proud Cubans lived, willing to stand up to Castro's revolution. The Red Umbrella got many favorable reviews this year, particularly in the GoodReads Mock Newbery group. It is a book worthy of being mentioned in these Mock Newbery conversations! I reviewed this one back in April from an ARC that was making the rounds with the Central Ohio Bloggers and I couldn't say enough good things about it. 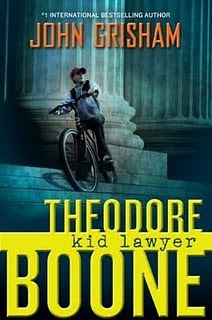 It was my early favorite for Newbery attention. It got a little from some other places, but seems to have dropped off the lists lately. It's still on my list for a variety of reasons. 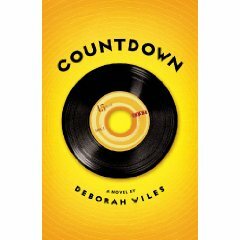 I love the way Deborah Wiles presented the subject of the story. She didn't just write a good story, she recreated the mood of the story's time period. I know that some peop le have been put off by the non-fiction portion of her story, but I loved it. Being a bit of a history buff may help in that regard, but in my opinion it just set the tone for the story of Franny and her family. If I were given the task of teaching about 1962 and the Cuban Missile crisis, I would look no further than this book. The one thing I would change about my earlier post is the last paragraph where I said that it would be a tough sell in the elementary school. I could not have been more wrong. Once I got it into the hands of the right kids, the book was never on the shelf and the reserve list was always 5 students or so long. It clearly worked with the elementary students. I read Out of My Mind last spring and absolutely fell in love with it!! In fact, as soon as I read it, I knew it had to be the final read aloud to share with my class last spring. I liked so much about it, but I will admit it was mostly the characters that continued to draw me further and further into the book. Melody, with so much in her m ind that no one knew about. Mrs. V, the next door neighbor who babysat Melody and was one of the first people to understand how much knowledge Melody had within her. Penny, the little sister who is born perfectly normal and adds a lot of drama to the story. Butterscotch, the pet dog who loves Melody unconditionally. Melody's mom and dad, parents who live a very real life with a less than typical child but who love Melody more than anything. Molly and Claire, the mean and unkind girls who make them so easy to dislike. Rose, the girl who is one of the first students to reach out to make Melody feel included. The action in the story is equally compelling. The Whiz Kids quiz team and all its drama. Penny's accident. The first time Melody could "talk". Melody having a fit over learning ABCs again. Mom standing up to the doctor who wanted Melody sent away. Mom standing up to the teacher who hadn't bothered to find out what Melody was capable of. All the afternoons with Mrs. V, learning so many new things; the sky was the limit. Melody starting be part of "regular" classes in an inclusion model. But, the part that "hooked" me from the beginning and never let me go was the lead; the first chapter. This past November, at NCTE, I got to hear Sharon Draper read this part out loud. I had goosebumps, it was so beautiful! I blogged about Out of My Mind two other times this year. The first was my initial reaction to the book. 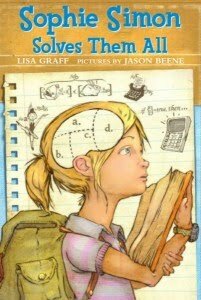 The second blog post reflected my students' reactions to Out Of My Mind at the end of the read aloud. As Karen said in an earlier post, we have signed on for another year of Looking for Newbery here at Literate Lives, and it's time for the fun to begin. Karen and I have been looking at lists and picking the books we need to read and the ones we have already read. At breakfast one morning we came up with a tentative list, but just like all of the Newbery watch lists out there, ours is fluid too. One Crazy Summer by Rita Williams-Garzia is set in one of the most dramatic years in our country's history, 1968. Three sisters being raised in Brooklyn by their grandmother are suddenly sent to Oakland to visit their mother who walked out on them 7 years before. There father thinks it will be a good experience for them to meet her and spend time with her. Grandma isn't so sure, but off they go, on an adventure that will change them forever. Fern the youngest, Vonetta the outspoken middle, and Delphine, the oldest and designated caretaker arrive in Oakland and their mother's home. It's clear from the beginning that she doesn't really want them there. She doesn't cook for them, instead gives them money to walk to the nearby Chinese take out place. They are not permitted in the kitchen so they eat the food on the floor. Their first morning their mother puts them out of the house, sending them to the Black Panther People's Center for breakfast and the days activities. During their daily visits to the People's Center, the girls are exposed to the militant 60s group. Activities include making rally signs and getting local businesses to display flyers for a rally. The girls are instructed in the ways of the Black Panthers. Interesting for me was the fact that in the midst of the indoctrination, the militant group, known for their violent ways, provided a safe place for kids in the neighborhood to hang out during the day. They made sure the folks at the center had breakfast and lunch and provided necessary services for the community. A side of the organization that most of us weren't aware of. I wish I could say this book had a happy ending, reunion with mom and all that, but at the risk of spoiling something, let me just say it doesn't. The girls get a better idea of who their mom is and why she walked out, they get a lesson in the politics of the day and learn a lot about themselves. I enjoyed the story, I found it informative and fast paced, but I don't think it will make my top 5 for this year's award. I have talked to several students that have read the book and they enjoyed it. Most were intrigued by the history of the time and it actually spurred their interest in reading more about this time period. This past summer, Donalyn Miller (@donalynmiller on twitter) challenged people to try to read a book a day. Recently, Donalyn decided to bring back the #bookaday challenge, and proposed that she wanted to try to read a book a day over her holiday break and invited others to join in on the fun. I immediately decided it was an event in which I wanted to be a part! Break and books - what is not to enjoy!! So, my task the past 2 weeks was to start gathering a TBR pile of books for over break. I am in school through this Wednesday, so I will be trying to read a book a day starting Thursday, Dec. 23 - Monday, Jan. 3. Eleven amazing days (not counting Christmas Day) to read to my heart's content. If you'd like to follow what everyone is reading over holiday break in the Book a Day challenge, go to twitter and type in the hash tag #bookaday. People will be listing their books as they read them. I imagine there will be some great titles I will want to add to my already too-large TBR pile. Looking For Newbery is Back! 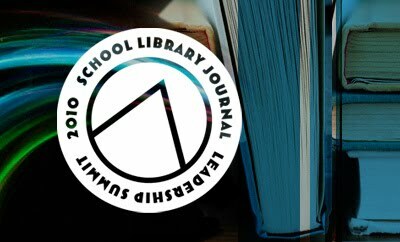 Two years ago, Bill and I started a little segment at the end of December that ran through the announcement of the ALA awards, and we called it Looking for Newbery. 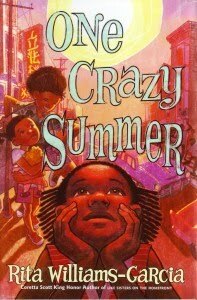 It was fun for us to start thinking critically about some of the books we had read that year, and whether we thought they deserved the Newbery Award. We either reviewed, or looked back at a review we already had written, each day for a month leading up to the Newbery. We had so much fun the first year, we brought it back last year. Once again, we blogged about the books we thought were the best and the brightest of the year. What made last year especially fun (at least for me), was that the book I loved from the start won the award. When You Reach Me was a perfect choice for a winner last year. So, with all that fun and thinking, Bill and I have decided to announce our 3rd annual Looking for Newbery. The ALA awards are quite early this year (January 10), so we won't have as many posts as the last few years. We will start our Looking for Newbery posts on December 26, and post daily through January 9. With all the online chatter about the Newbery, it has been easy to stay current with the books that people believe have Newbery qualities. We have combined the thinking from the GoodReads Mock Newbery group, the Allen County Library's mock Newbery list, Heavy Medal's list, and Fuse#8's half-way list. With only 14 days to post this year, we might not get to every deserving book, but we will sure be trying! :) We hope you will join us starting December 26th as we start our 3rd Annual Looking for Newbery. I have posted about two Katrina survivor picture books, A Place Where Hurricanes Happen by Renee Watson and The Two Bobbies by Kirby Larson, both very well done books. I'm also excited to announce that Kirby Larson will be visiting Bailey for two days in March, she's done some of my absolute favorites, so I can't wait. 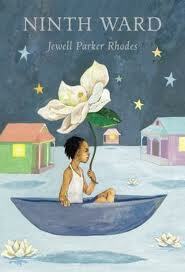 Recently as I browsed the Newbery watch lists, preparing for our Bailey Newbery Club and for the Looking for Newbery series at Literate Lives, I ran across a title, Ninth Ward by Jewell Parker Rhodes. It wasn't one I had seen before, so I was intrigued. My friend Maria managed to get her hands on a copy so I borrowed it and read it in between baking cookies this weekend. I liked it a lot! The main character, Lanesha, an illegitimate child, scorned by her well to do grandparents, lives with the mid-wife, Mama Ya-Ya, who helped birth her. Unfortunately, Lanesha's mother died during child birth and there was no place else for her to go. Lanesha is able to see ghosts, and while she hasn't communicated with many of them, she is very aware of them. This gift, as Mama Ya-Ya calls it causes Lanesha to be an outcast in her school, kids sometimes make fun, but mostly they are afraid of her. Mama Ya-Ya is a healer, a mid-wife, a believer in "black magic" and spirits based on beliefs held by the slaves from another time. Some may read this and struggle with this theme, but it's necessary to the story, it helps create the mood by revealing a culture that exists in New Orleans and a part of the character. You won't find to many more loving, caring people than Mama Ya-Ya who uses her beliefs and powers to care for Lanesha when no one else will. She begins to have visions, dreams of something bad happening as the hurricane moves closer. Her dreams tell her the hurricane is bad but all will be fine in the end. There's something else that she sees that she won't reveal to Lanesha, it's up to the 12 year old to figure it out on her own. As the storm moves closer, Lanesha befriends another outcast, TaShon. A boy born premature with a disfigured hand and small stature. He is the target of every bully in school until Lanesha sticks up for him and a strong friendship is formed. The friendship is crucial to the survival of Katrina. As the storm grows closer and stronger, TaShon and his parents head for the Super Dome, which as we all know, was the site of some horrible things during the tragedy. Author Jewell Parker Rhodes does an amazing job of building the suspense of the storm. It made it difficult to get my cookies finished because I didn't want to put it down. The reader is taken into the home of Mama Ya-Ya and Lanesha as Katrina approaches. We are there when Lanesha decides that survival is up to her. We are there as the neighbors party until the last second, ignoring the mayor's call to evacuate either because they don't believe him, or because they don't have a way out. We are there as Lanesha plans to ride out the storm, boarding up windows, cooking chicken, red beans and rice, icing coolers and moving everything up to the second floor of the house. Lanesha and Mama Ya-Ya ride out the storm together and come out the other side. TaShon, separated from his parents in the Super Dome comes home and joins them on the second floor. As we all know, it was after the storm when the worst of the tragedy struck, the levees breaking and the Mississippi pouring into the Ninth Ward. We all saw the pictures of the tragedy that struck the city of New Orleans, Jewell Parker Rhodes spares nothing in her description of the events. I don't want to give anything away, the book needs to be read for that, but I'll just say that it is a story of sadness and hope, a well written survival story. I am currently taking a class that is a year-long commitment - it is sponsored by the smart folks at PLP. Throughout this year, I am reflecting with people all over the country online and in webinars, as well as with my own school cohort. To prepare for our webinar next week, we have been asked to reflect on an article titled, "Preparing Students and Schools for a Radically Different Future: Ten Trends Will Help Determine Education's Role in the 21st Century." The article was written for USA Today by Gary Marx in March, 2002. This entire article spoke to me in many ways, but I was probably most drawn to Trend #3 (social and intellectual capital will become the primary economic value in society) and Trend #8 (knowledge creation and breakthrough thinking will stir a new era of enlightenment). The idea of collaboration and working in teams - when I look at our work here at PLP, I look at my thinking/conversations/learning with like-minded people recently at NCTE, and how I continually seek out others who are going to help me push my own thinking (and hopefully push their thinking as well) - these are the factors that make me realize how important collaboration is. 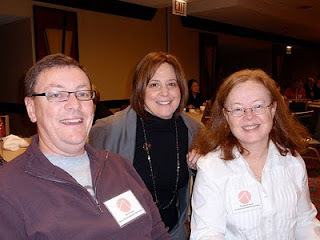 Using a variety of tech tools - just this morning, I read Franki Sibberson's final reflection on her web 2.0 librarian class. I'm going to need to come back to it multiple times, but my initial thinking is wow! I especially loved how she has now synthesized her thinking about these tools in a way that makes sense for her school - she and her principal have created an amazing plan for their school. This trend also talks about making sure our students leave school with the ability for critical and creative thinking, as well as high levels of curiosity and persistence. So many times, with my own daughters, I watched them play the game of school - memorizing what they needed (I'm actually cringing a little as I write this since I just asked my students to memorize the 50 states because that is a standard), doing homework (that's an entire article in itself), but not having critical skills. I look at what my oldest daughter is required to do now, as a young adult, in her job at a PR firm, and it's all about critical thinking and problem solving and collaboration. How then, can we as educators, do a better job with this? In Trend #8, the idea of knowledge creation and breakthrough thinking stirring a new area of enlightenment, I was struck by the phrase Marx mentioned, "Does what we learned today trigger any new ideas for you?" One of my cohort members remarked that question could profoundly change the learning of whatever group with which you were learning (students or adults). What a powerful statement! Today, I also read this thought-provoking article about the purpose of daily lesson plans - the author questions why we aren't planning more globally. It really made me think of this trend as well. So that is my off the cuff thinking about a very important article. Now I'm hoping you'll think along with me -- if the goals of web 2.0 tools are collaboration, communication, creation, and connecting , I would love to have you share your thinking about this post. We are most definitely smarter as a group! 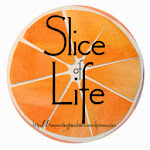 I've had two laugh-out loud funny books at my house for about the last three weeks; I just couldn't find time to blog about them. Shame on me, because these books really belong in my students' hands ASAP. So, tomorrow I'm taking them to school, and I expect a frenzy of voices telling me that they want to be the first to read these books. So with no further ado, here we go! Big Nate is back in Big Nate Strikes Again and he is just as funny as the first time!! 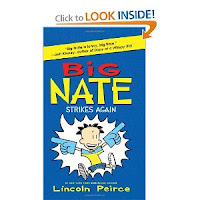 Between trying to avoid a partner project with his female archenemy, to finding all sorts of hiding places to avoid having Randy pummel him, to being named captain of a fleeceball team that someone names the Kuddle Kittens, to writing and trying to sell Poor Nate's Almanack, Nate is back with great flair. I think my favorite part about Nate is his stream of consciousness that Lincoln Peirce does such a great job of conveying with his thought bubbles and comics. This book will be flying from one person to another in our classroom! 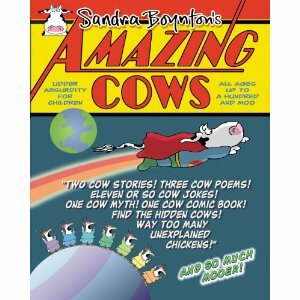 Another recent find is just plain silly and a whole lot of fun -- Amazing Cows: Udder Absurdity for Children by Sandra Boynton. You want some great cow knock-knock jokes - check! You want to learn to speak cow - check! Looking for notes on cow fashion - check! You want to know the story behind the super-hero Amazing Cow - check! These things and much, much more made me laugh and groan, but I sure had a fun time! The play on words to make them "cow-like" will provide many a chuckle! It's that time of year again. The time when kidlit bloggers and lovers of kidlit get to nominate the books that they just absolutely adored this past year for an award -- specifically a Cybils Award. There are many categories for nominations. The category I will be watching with great interest in the coming weeks is the Nonfiction Picture Books. So, if you have a favorite book that you think is deserving of an award, please join in the nomination fun! "Kids love interesting non-fiction books. Kids love information books. And the sky’s the limit for kids' interests. The Nonfiction Picture Book category is looking for stunning, visual nominees that capture the curiosity and wonder of children of all ages by providing lots of great information. From science to art, history to sports, or current events to biographies, will the book be picked up because of its fresh approach, kid appeal, fabulous illustrations, and or photography? If yes, then nominate it! Nonfiction picture books are 48 pages or less and aimed at younger readers. Longer books (48 pages or more), denser text divided into chapters and/or a mature theme belong in the Middle Grade/Young Adult Nonfiction category. The committee refers to the Library of Congress classification as a transferred referred to appropriate committees. Previous winners in this category include The Day-Glo Brothers by Chris Barton,Nic Bishop’s Frogs (2008), Lightship by Brian Floca (2007), and An Egg is Quiet by Diana Ashton (2006)." So, if you have a book that sounds like the above description, please head on over to the Cybils website to make your voice heard! Nominations begin October 1st.